Had someone ask on FB if I was joking when I pointed out the bible doesn't ask women or wives to obey men or husbands. No, I wasn't joking and was appalled this guy was so biblically illiterate. There's this false belief circulating among Christians about obedience that fuels a non-biblical hierarchical interpretation of the bible. It's based on the heresy of Trinitarian subordinationism, and misinterprets the analogy between Christ and the Church and husbands and wives a la Ephesians 5.21-33. This was the passage I was pointed to when I said the bible doesn't use the word obey in regards to male/female relationships. Again, sadly shocked at the lack of basic biblical understanding of this topic. So here's a very quick bible study. 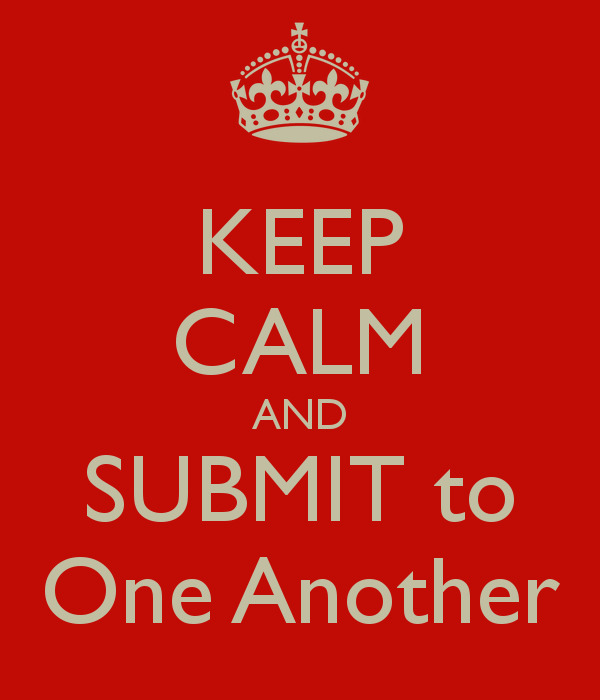 The driving theme of the passage is verse 21 - "Submitting yourselves to one another in reverence of Christ." This sets the message for what follows - the context is mutual submission - "one another." Got it? Not obedience, not subservience, not male hierarchy. Mutual submission. Vs 22 - "Wives, to your husbands as to the Lord." Notice the word submit is not repeated here. In English translations it's added for clarity, but actually obscures the meaning of what follows. The word submitting in verse 21 is a present participle, indicating ongoing action, and provides the "how" for both husbands and wives. So the message is (in the context of mutual submission): Wives, just as you serve Jesus, serve your husbands. The analogy is explained in verses 23 and 24 - just as the Church submits (same root word) to Christ, so wives to their husbands (same lack of word). Back to this study. 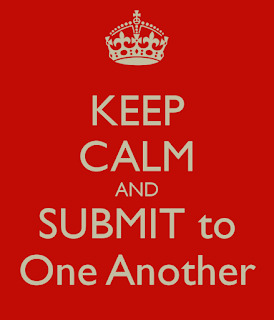 Remember, the word submitting provides the "how." Vs 25 - Husbands, based on verse 21, here's how you are to submit to your wives. Love as Jesus loved, giving yourself up for her. If that's not the definition of submission, I don't know what is. In a profound and mysterious act of service, Christ submits to His Church. WOW! Christ loves the Church to such an extent, that he dies and rises again, cleansing her so that we might be united with him for eternity. The take away for husbands and wives? Mutual submission expresses the heart of the Gospel. * Update July 8 - Not the topic of this post, but I do want to clarify that this passage (among others) affirms the biblical model for marriage is between one man and one woman. The 'mystery' Paul refers to requires it.